We are honored to be asked dozens of questions every single day about our dress forms. To further help our many customers, we have collected the 5 most commonly asked questions about our forms. Please enjoy and do not hesitate to continue asking! 1. "What is the difference between your professional dress forms and your other (standard) models?" 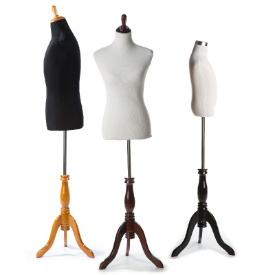 Our standard models (any of our floor standing and tabletop categories in our dress form section) were designed primarily for store displays or photography. They can also be used for limited sewing, but the cloth covers were not designed for repeated pinning. On the other hand, our professional dress forms were built to perform. 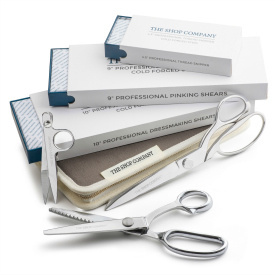 They were carefully crafted in many sizes (0 - 24) with the finest and sturdiest materials to handle repeated sewing usage. It prides us to say that they are currently being used - very happily - by professional fashion designers all over the US. In addition, our forms are also perfect for higher-end store displays and, especially, photography. 2. "What is the difference between 'fully pinnable' and 'partially pinnable' forms?" All of our professional dress forms are built for dressmaking ('suitmaking' for our male forms) and can be pinned repeatedly without showing wear and tear. The only difference is the layer of foam underneath the linen-canvas cover. The "fully pinnables" have a thicker layer so pins can be inserted into the form directly, while the partially pinnables have a slightly thinner layer and the pins need to be inserted at an angle - which is anyways how most professionals pin. While all of our professional dressmaking forms last a very long time, the ones with a slightly thinner layer should last even longer (as there is less foam to get worn down). 3. "Ahhh! My body does not fit exactly into one of your sizes!" Do not worry - many of our customers do not fit exactly into every size measurement. We carry sizes 0 - 24 based pretty much on the body measurement sizing system. If you fall in between sizes or have some measurements from a smaller size and some from a larger size, it is always best to choose the small size rather than the larger one. The reason for this is that you can always pad a form up but you can never pad it down. How do you pad a form up? There are many ways to do this. Some of our customers secure simple cotton batting around those areas while others use the phenomenal dress form fitting system by our dear friends at Fabulous Fit. It comes with 17 contoured pinnable foam pads that can be attached to all areas of the form to increase its size in all or in specific areas and stretch cotton foam covers to secure the pads in place. Oh, and do not worry, it comes with ample and well-written instructions. 4. "What are collapsible/ magnetic removable shoulders and do I need them?" When you put on tight fitting clothing, you contract your shoulders together to easily slide it on. The shoulders on most dress forms are fixed thus making the process of placing and removing tighter fitting clothing a bit arduous. We noted this issue and have added a solution to many of our forms. The collapsible shoulder function (female/ male) allows you to simply squeeze the shoulders together to lock them in place in a contracted position (squeeze again to release). 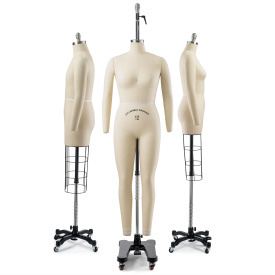 For the magnetic removable models (female/ male), the shoulders simply can be detached when needed. 5. "Do you offer tutorials on how to drape and create dresses with your forms?" We do not have tutorials as of yet. However, we are very interested in doing so and are actively looking for professionals in the field willing to share some of their ideas and patterns. We plan on providing this amazing content to our customers for no charge via our website, through our email newsletter (make sure to subscribe below!) and through several other methods we are looking at closely. If you have some great dressmaking tips or patterns and would like to be featured on our website, emails, etc. - or for more information on this exciting new program - please contact us at ideas@theshopcompany.com. We would love to hear from you! Get Your Professional Dress Form Today!